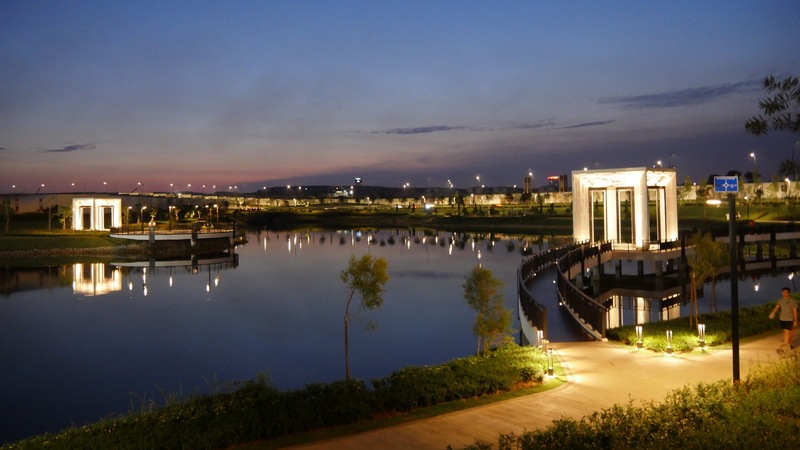 Maya Park is famous for its beautiful sunset by the lake and wide open space for recreation. Address : Persiaran Setia Alam, Eco Ardence, 40170 Shah Alam, Selangor Darul Ehsan, Malaysia. Do you know that : Eco Ardence is an eco-themed, gated and guarded, mixed-development township, spanning a massive 533 acres. Within the township there is several development spanning from residential, leisure and commercial areas. This is where the creation of art, the expression of culture and the innovation of commerce converge, inspiring a sense of pride and belonging in the community. The motto is “Re-imagining Shah Alam”. This eco-township a joint venture between Eco World Development Group Bhd and Cascara Sdn Bhd. 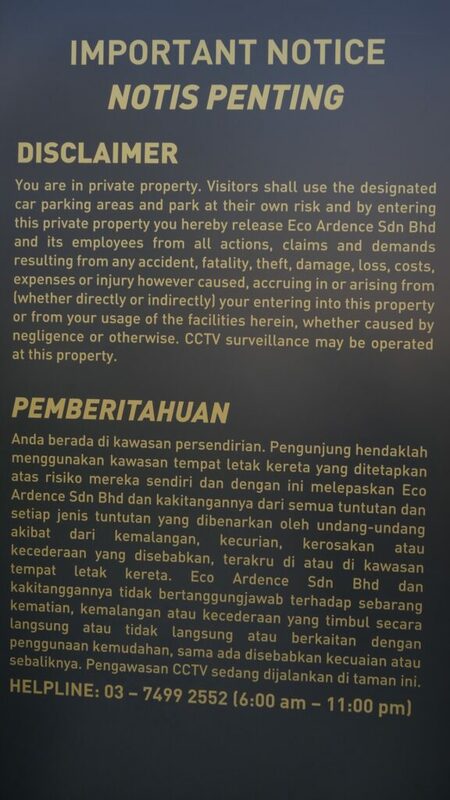 The rules and regulations signage for all the user of Maya Park. The important notice for all user or Maya Park. People loves this place very much. It is a huge park with wide open space, acres of greenery, unoccluded skylines, and nearby low density commercial space with food, beverage, grocer and pharmacy. This place is also famous for its sunset. When the sun goes down the horizon, the quiet and still lake waters mirrors the scene and create a sense of vastness. There is a bridge to a platform with a square structure motifs of harmony on the lake. At the evening and night, the structure lights up and create a beautiful mirror image on the lake. The beautiful sunset at Maya Park. The Maya Park is beautiful during dusk when the sun is setting and the city lights are lit up. During the night, the structure on the lake remains brightly lit. There is a long jogging and cycling path along the edge of the lake. You can rent a bicycle, couple bicycle or four wheels bike from the bike rental shop beside the park. Rentals are calculated by hours. Different type of bikes available for rent from Cykel & Cyclist bike rental shop nearby. Besides, in the evening there is a platform by the lake where people come here for Zumba. You can joint in whenever you wish or just stay around and watching people Zumba. Drone lovers also like to fly their drones here to take a breathtaking evening shot and beautiful landscaping of the township. After tired from a evening exercise, you can drop by Ardence Labs for a light refreshments and dinner. The Ardence Labs is conveniently beside the Maya Park. Ardence Labs is a 10.9ha retail space which is artistically designed from 27 refurbished containers. It creates a sense of industrial urban hub. There is various food and beverage outlets. They serve different type of food from thai, western, local and fusion dishes. 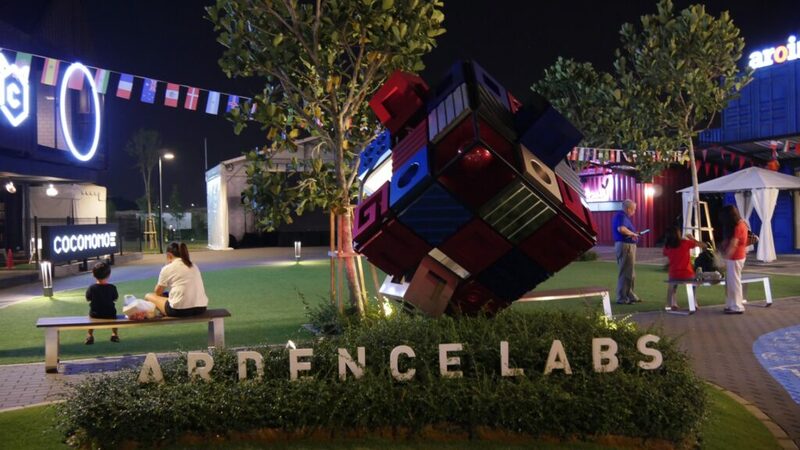 The Ardence Labs signage and sculpture. Every retail outlet is housed in a refurbished container. The environment is clean and well organized, and green as well. During dusk and night, Ardence Labs is brightly lit with warm yellow lighting. There are 3D floor murals around Ardence Labs. Visitors can take perspective interactive photos here. The penguin and the dolphins. For more information on Ardence Labs can be found on their official website http://www.ardencelabs.my/ or Facebook Page https://facebook.com/ardencelabs/ for more latest events. Nevertheless, the Ardence Arena is just beside the Maya Park with two football fields. At evening and nights, people do come here for game of football. The place is lit up with stadium grade spotlights. The football academy also conducts running courses for the children during the weekends.